I have in my stock one from 4 colors now. Ask before purchase please! 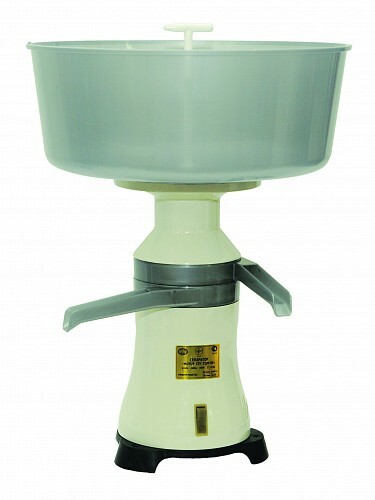 Electric Cream Separator holding 12 litters of milk which makes it ideal for domestic or small farm use in cream preparation and milk processing. 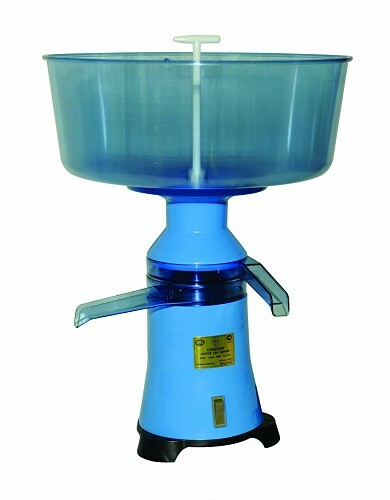 The Separator can process more than 80 litters of milk per hour. The milk tank is made out of polycarbonate, the main body - out of strong plastic and all the other parts are made of polycarbonate. This is a well-balanced, high-capacity and solid machine. You will use it for years. If there are any parts that you may need, you can always contact me and make your order. The Separator, I present here compares favourably with the analogous devices on the market due to its price and technical specifications. Using an adaptor will not affect the device functionality. I will sent you english operating manual.